Tusmore is a city located in South Australia and his population is 1,570 inhabitants. On this page you can consult informations about distances and roadmaps from Tusmore to major cities and places in Australia. Location, Location, Location is a villa set in Marion, 10 km from Adelaide. The air-conditioned unit is 23 km from McLaren Vale. Free private parking is available on site. This ground-floor villa includes a fully-equipped kitchen, TV and DVD player. This hotel is 12.07 km from city center. Located in Finsbury, Mansfield Park Hotel features a casino. Boasting an ATM, this property also provides guests with a restaurant. The accommodation provides free WiFi. The units in the inn are fitted with a kettle. This hotel is 13.33 km from city center. 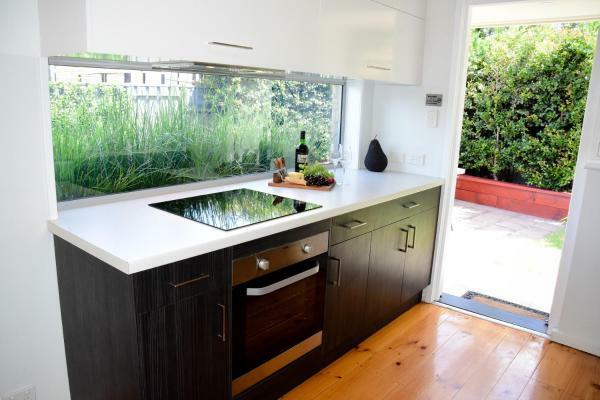 Situated in Plympton in the South Australia region, City to Sea features a garden. The property has garden views. The apartment comes with 2 bedrooms, a fully equipped kitchen with a dishwasher, and 1 bathroom with a shower. This hotel is 9.40 km from city center. 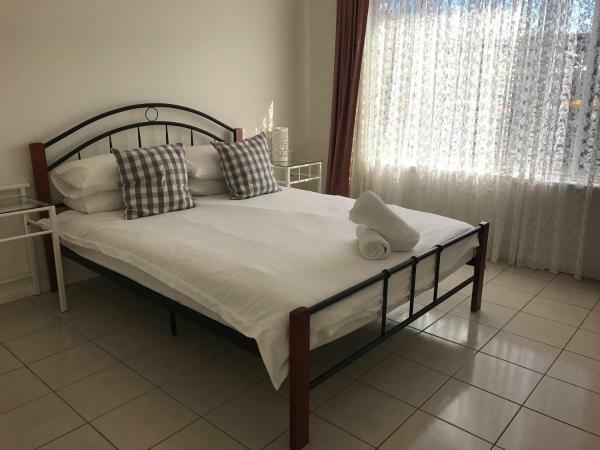 Located in the centre of suburb South Plympton, Marion Motel and Apartments is 8 km from Adelaide International Airport and 5.5 km from the Glenelg Beach. It offers an outdoor pool, free parking on site and free Wi-Fi access in all areas. This hotel is 9.66 km from city center. 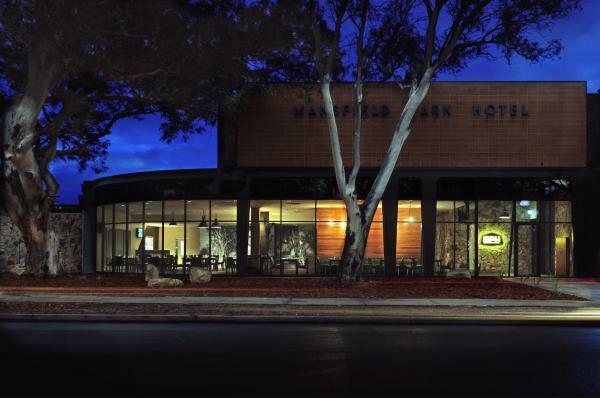 Marion Hotel is 5 minutes' drive from Marion Shopping Centre and 20 minutes' drive from Adelaide’s city centre. It offers an on-site bistro, 3 bars and free parking. Guests enjoy free WiFi. This hotel is 11.11 km from city center. 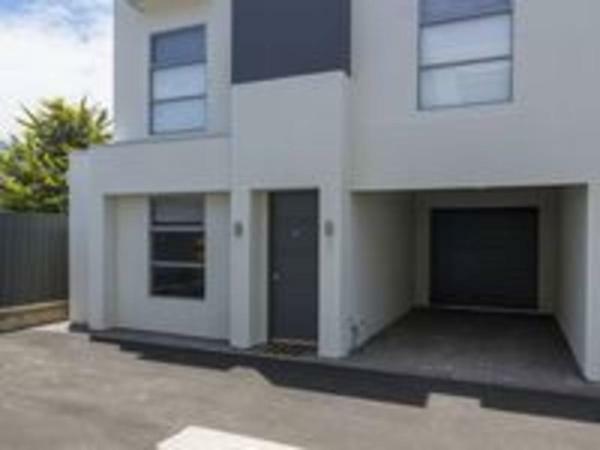 West Croydon Condo is set in Woodville. The accommodation is 6 km from Adelaide. McLaren Vale is 42 km from the holiday home. 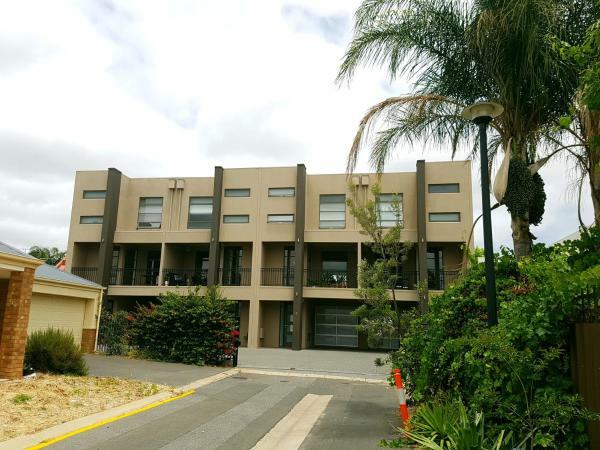 The nearest airport is Adelaide Airport, 7 km from the property. This hotel is 9.71 km from city center. Offering an outdoor pool, an indoor pool and a jumping pillow, Marion Holiday Park is located in Adelaide. Accommodation options include self-contained cottages, villas and studios. All include cooking facilities and free on-site parking. This hotel is 11.95 km from city center. 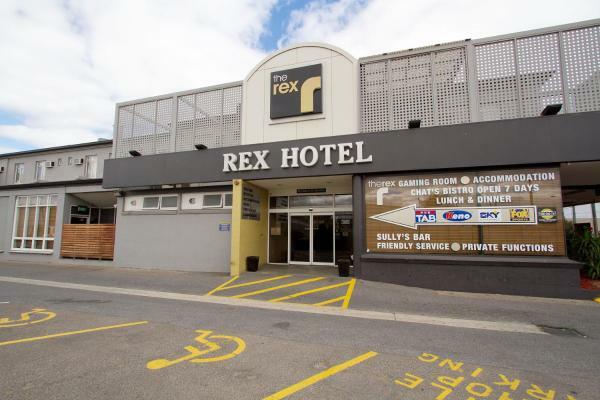 Boasting a restaurant and 3 bars, Rex Hotel Adelaide is just 10 minutes’ drive from both central Adelaide and Glenelg Beach. It offers air-conditioned rooms with tea and coffee making facilities. This hotel is 7.87 km from city center. 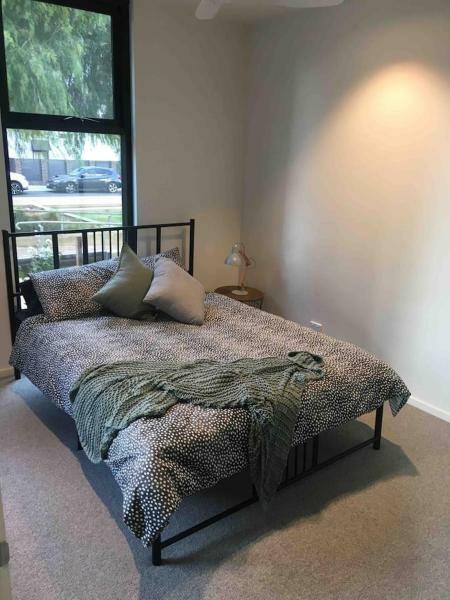 Set in Adelaide, 2.8 km from Adelaide Central Market and 3.4 km from Victoria Square, Adelaide Holiday Apartment offers air conditioning. The accommodation features free WiFi. This hotel is 7.82 km from city center. 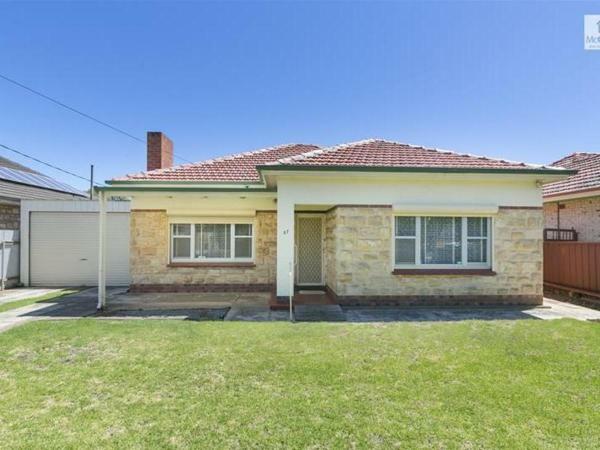 41 William Langman Circuit is situated in Prospect and offers a garden. The accommodation is 6 km from Adelaide. 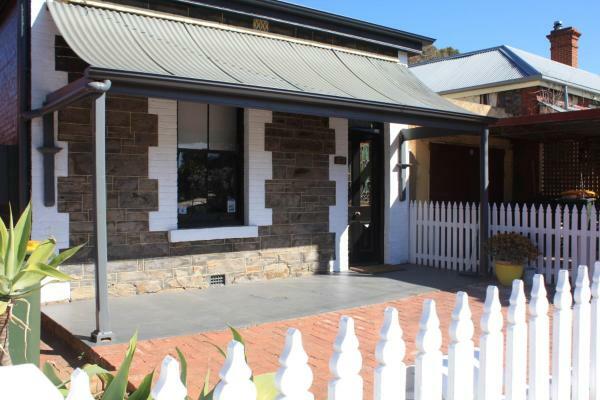 McLaren Vale is 42 km from the holiday home, while Hahndorf is 33 km away. Adelaide Airport is 8 km from the property. This hotel is 8.93 km from city center. Situated in Adelaide, South Australia region, BANK192 is located 3.9 km from Art Gallery of South Australia. Among the various facilities of this property are free bikes and a terrace. 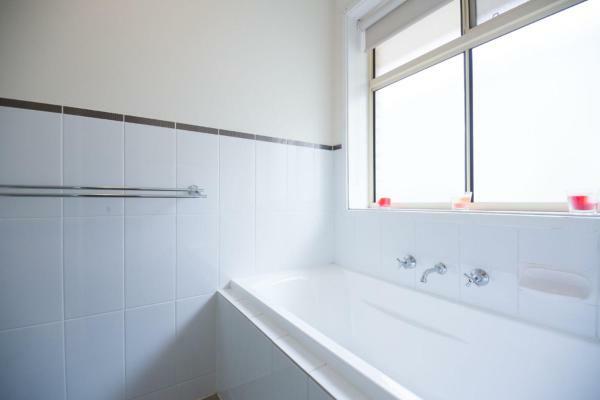 The property is 3.9 km from Rundle Mall. This hotel is 8.14 km from city center. 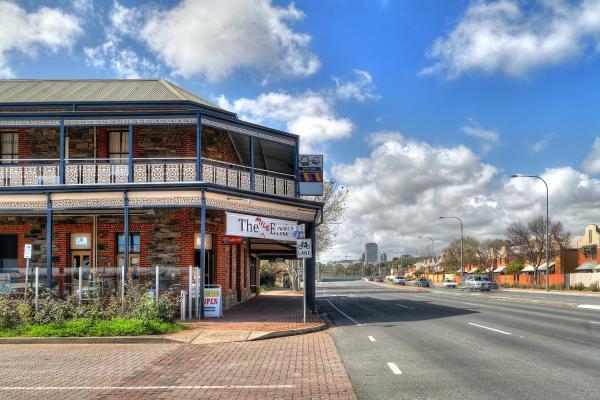 Offering rooms with free WiFi and flat-screen TV, City West Motel is a 5-minute drive from Adelaide city centre. Guests enjoy free parking and access to a large undercover patio. This hotel is 7.39 km from city center. 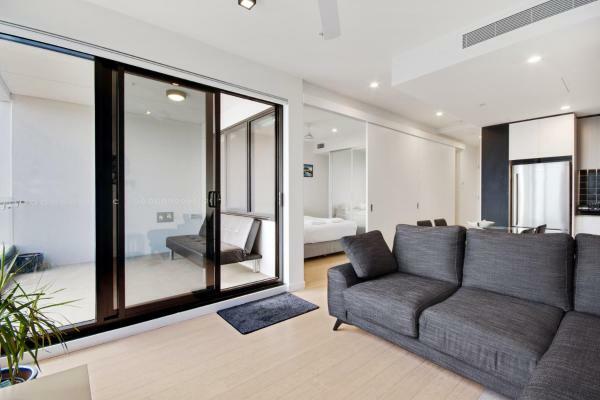 Adelaide Penthouse offers accommodation in Brompton, 3.9 km from Adelaide. Adelaide Penthouse features views of the Adelaide Hills and is 35 km from McLaren Vale. Free WiFi is available throughout the property. This hotel is 8.28 km from city center. Boasting a prime location, this spacious detached holiday home set in Brompton in the South Australia Region and is 3.6 km from Adelaide. This hotel is 8.05 km from city center. Featuring a bistro, 2 bars and gaming facilities, Tonsley Hotel is 9 km from Adelaide and 12 km from Adelaide Airport. A 42-inch flat-screen TV with cable channels is standard in all rooms. Free parking is available on site. This hotel is 10.01 km from city center. 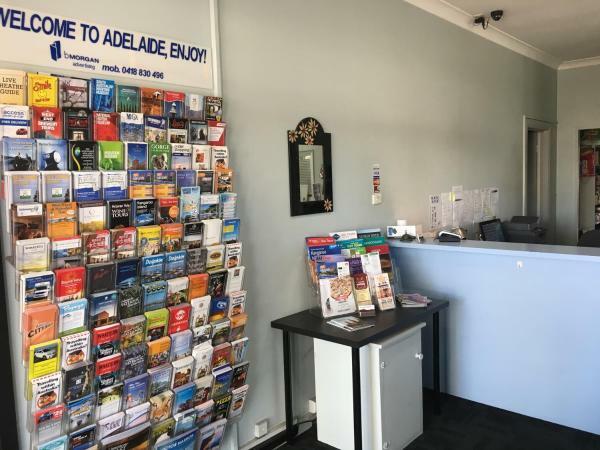 Boasting a casino, shared lounge, bar and free WiFi, The Mile End Hotel is set in Adelaide, 2.2 km from Adelaide Central Market. The property is located 2.4 km from Adelaide Convention Centre, 2.5 km from Art Gallery of South Australia and 2. This hotel is 7.04 km from city center. 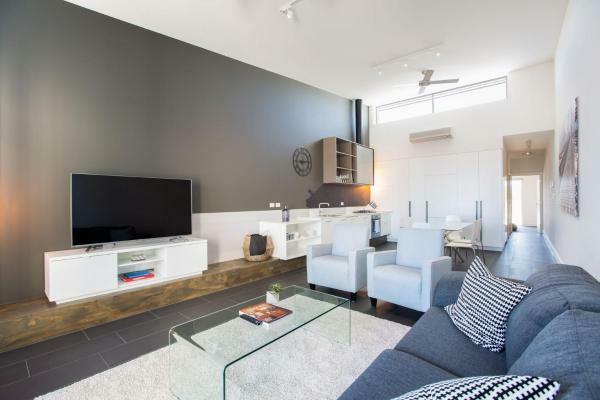 Magnificent Apartment + FREE car park near CBD offers accommodation in Adelaide, 3.5 km from Adelaide Convention Centre and 3.5 km from Adelaide Oval. Guests have a private terrace. This hotel is 7.59 km from city center. The Artisan is set in Thebarton. This apartment provides a garden as well as a terrace. Adelaide is 5 km from the apartment, while McLaren Vale is 41 km from the property. 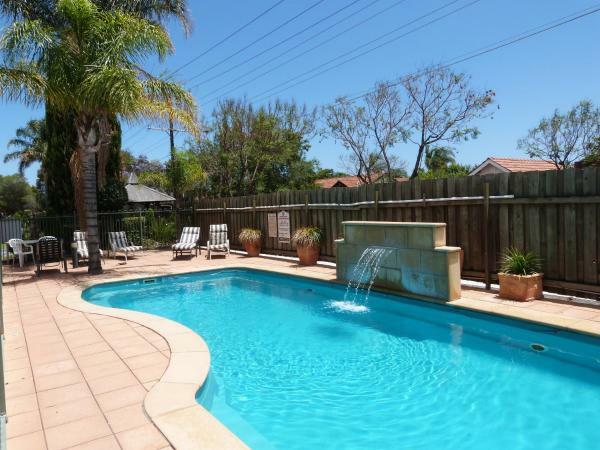 The nearest airport is Adelaide Airport, 8 km from the property. This hotel is 7.48 km from city center. 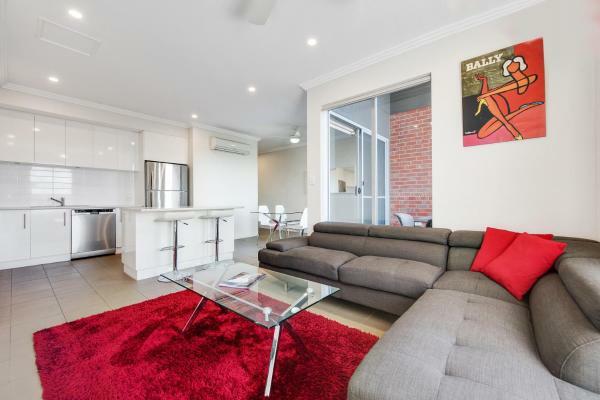 Situated 2.1 km from Adelaide Oval in Adelaide, this air-conditioned apartment features free WiFi. Guests benefit from a balcony and a sun terrace. Free private parking is available on site. This hotel is 7.48 km from city center. 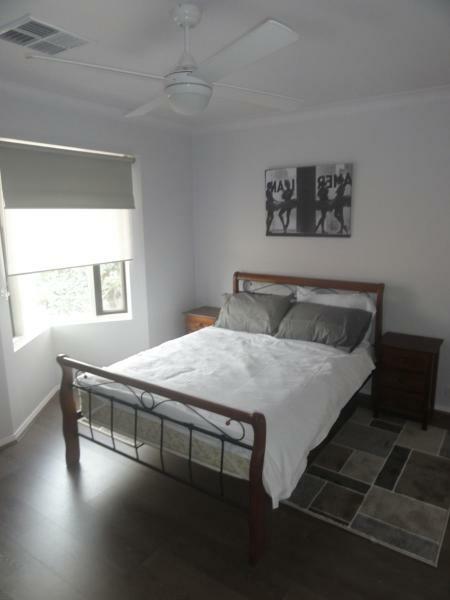 Bowery is an apartment in Bowden, 2.1 km from Adelaide Oval and 3.1 km from Adelaide city centre. Bowery boasts views of the garden and is 2.2 km from Adelaide Convention Centre. Guests benefit from free WiFi, and private parking available on site. This hotel is 7.44 km from city center. Close to everywhere! is situated in Prospect. The accommodation is 5 km from Adelaide. The holiday home consists of 2 separate bedrooms, 1 bathroom and a living room. McLaren Vale is 42 km from the holiday home. This hotel is 7.68 km from city center. Located in Colonel Light Gardens, House to Share provides accommodation with a patio and free WiFi. 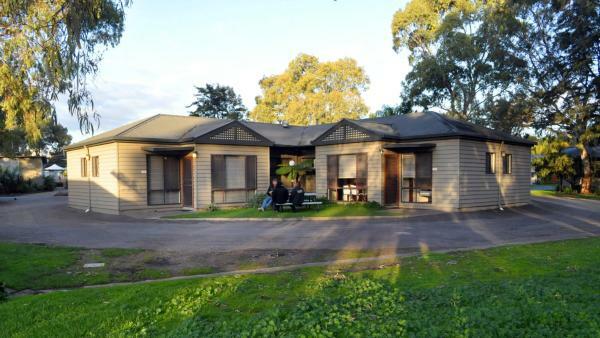 The accommodation is 7 km from Adelaide. The apartment includes 4 bedrooms and a kitchen with an oven and a microwave. This hotel is 7.44 km from city center. 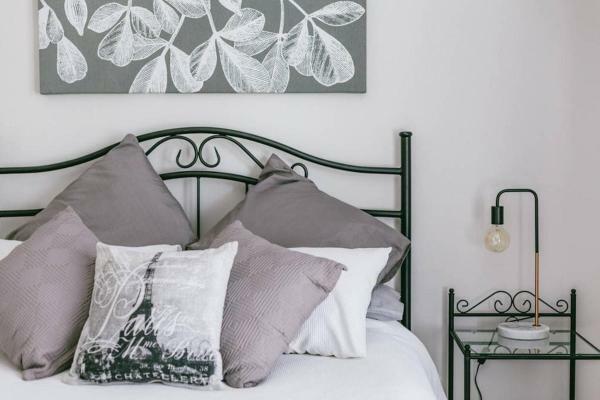 Situated in various locations in Adelaide, Adelaide Heritage Cottages & Apartments offer self-contained accommodation within 10 minutes’ walk of Adelaide Oval, the Adelaide Entertainment Center and the Aquatic Center. This hotel is 6.76 km from city center. 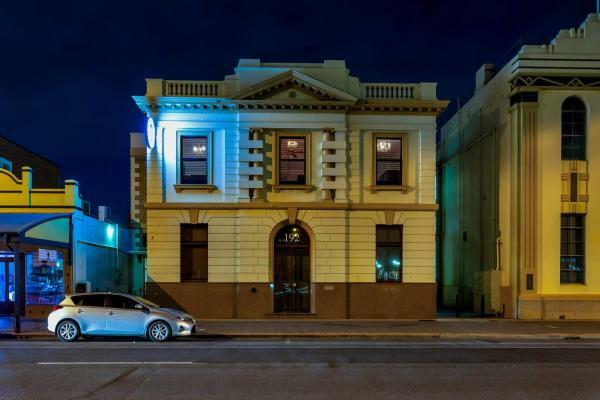 This 4.5 star boutique hotel is housed in a luxurious mansion, close to Adelaide Cricket Oval and many restaurants, pubs, and nightclubs. Free parking and free shuttle bus are available. This hotel is 6.74 km from city center. 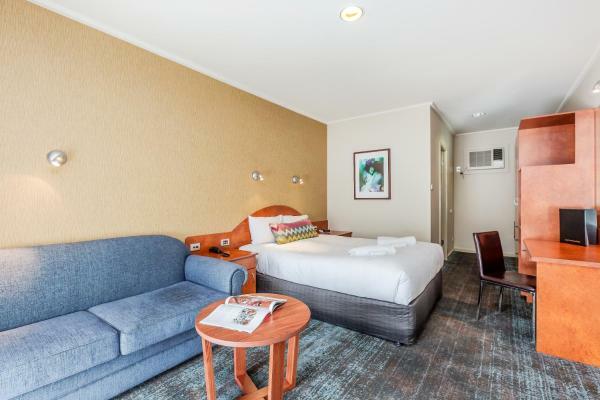 Offering a variety of accommodation options with free WiFi and free in-house movies, Rydges Adelaide is located opposite Edwards Park and Veale Gardens. Guests enjoy features a fitness centre, a spa pool and heated swimming pool located on level 6. This hotel is 5.67 km from city center.